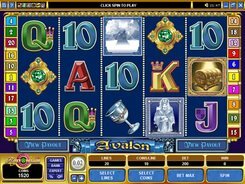 Avalon is a video slot based on a legend of King Arthur who forged his Excalibur sword on the Avalon island. 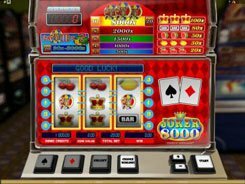 The machine has 5 reels and 20 paylines. The symbols incorporate medieval-themed items and main characters from the legend, including a brooch, silver cup, castle, crown, coat of arms, and other related symbols. 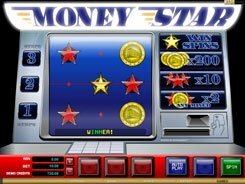 You get cash prizes for combinations of matching symbols formed after the reels have stopped. 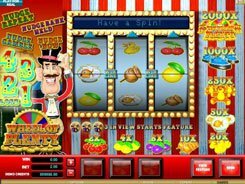 The game allows betting up to 10 coins per line. The maximum limit of a coin value is $0.5. The castle in the fog serves as a wild that stands in place of other regular symbols when you need it to complete a winning combination. The Lady of the Lake (a scatter) is the only symbol that can’t be replaced by the wildcard. 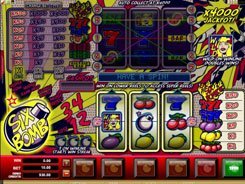 The Lady will happily grant you with 12 free games if it occurs on reels 2, 3 and 4 simultaneously. 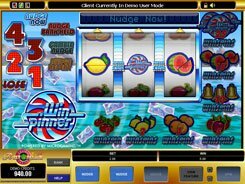 A treasure chest icon appears during the free spins round acting as an extra wild symbol. 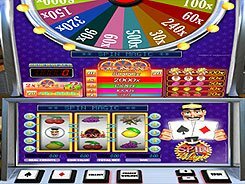 All winnings earned in the bonus round are paid at x7 times your total bet. After any win achieved, you can activate an easy-to-play Gamble feature. All your winnings will be doubled or even quadrupled if you guess correctly a card color or a card suit, respectively. An incorrect choice made by you would forfeit your cash prize earned in the triggering round.